This is innovation at its finest! Check out these customer-submitted photos of DIY screened-in patios using screen doors to create an enclosure. Although our screening systems would work great for each of these projects, this is a really unique DIY way to screen a porch, patio or deck. 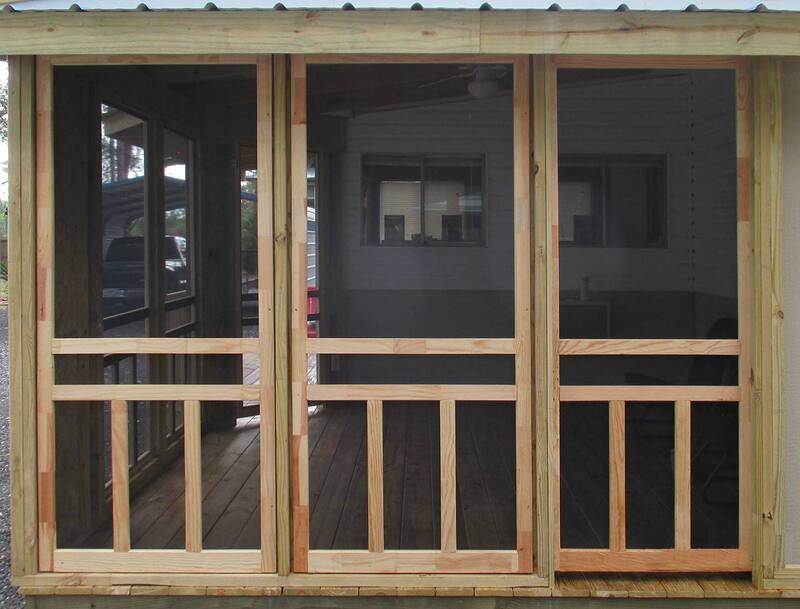 Simply frame in your porch structure with measurements that match the doors you are using. Mount the doors to the posts. That’s it! 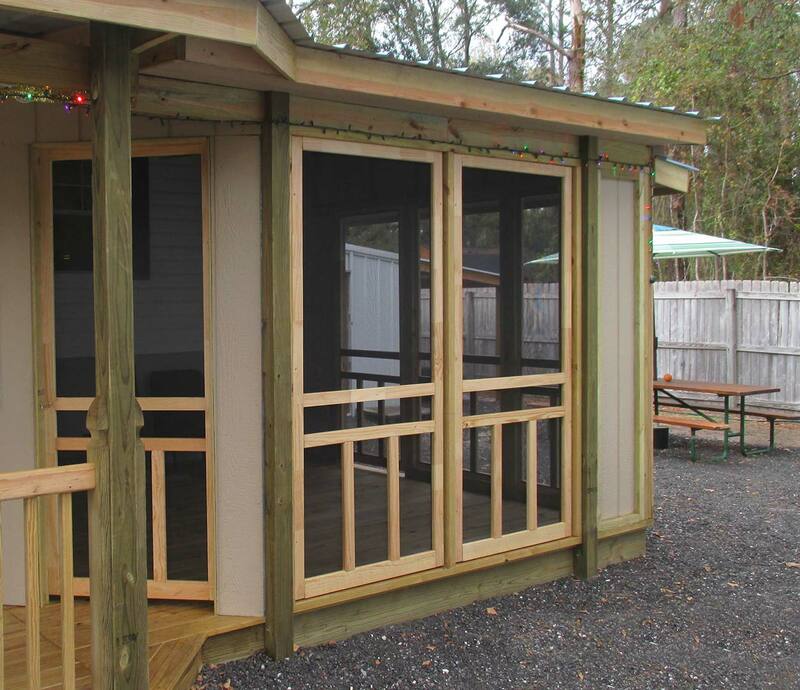 Enjoy your new porch screened in with doors! 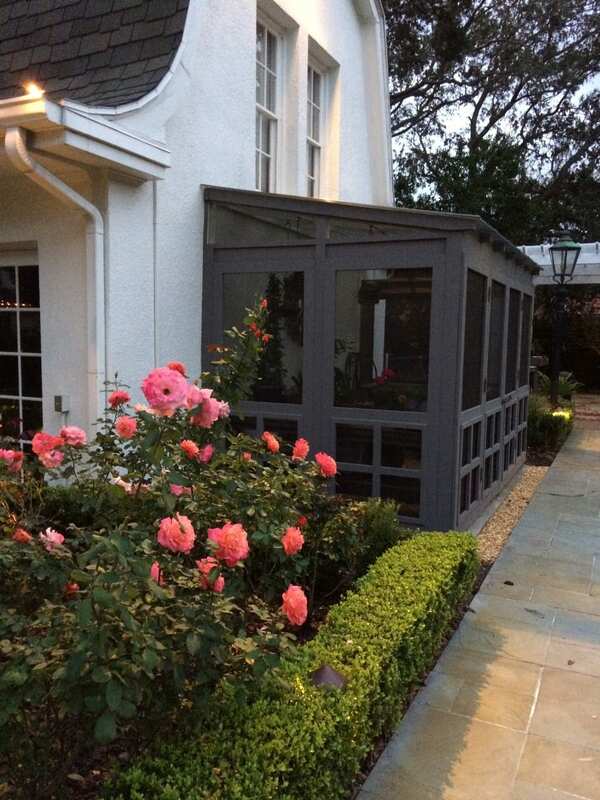 This rose garden patio features our Summit screen door design used as screened french doors. These doors feature the same design as the enclosure to create a consistent pattern and seamless design. In addition to the assembled Summit model, our Woodcraft screen door with the Summit Insert can accomplish this look as well. If you have a simple screen porch project, consider using this approach to create a truly unique screened living space.